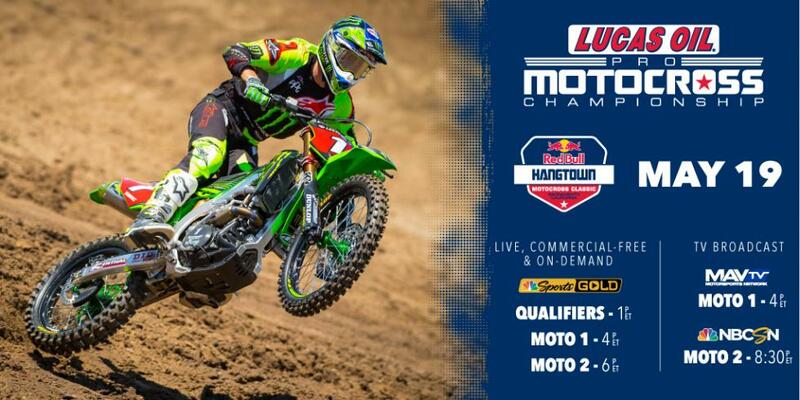 The Lucas Oil Pro Motocross Championship kicks off this Saturday with the Red Bull Hangtown Motocross Classic. Eli Tomac, who won this event in 2017, will hope for another strong showing as he begins his 450MX title defense against the likes of two-time outdoor champion Ken Roczen, last year''s runner-up Marvin Musquin and newly minted supercross champ Jason Anderson. Whether you prefer to watch online or through your television, here''s a rundown on how to see all the action from Hangtown. The U.S. television schedule for Hangtown is below.